11th-Hour Change to House Rules Enabled Government Shut-down? Late in the evening on September 30, 2013, the House Rules Committee Republicans changed the Rules of the House so that the ONLY Member allowed to call up the Senate’s clean CR for a vote was Majority Leader Eric Cantor or his designee — all but guaranteeing the government would shut down a few hours later and would stay shut down. 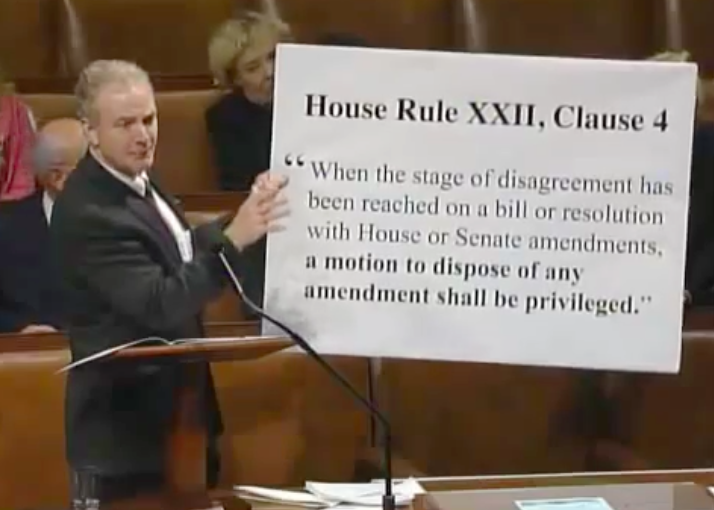 Previously, any Member would have had the right to bring the CR up for a vote. Democracy has been suspended in the House of Representatives. This entry was posted in Blog, Misc and tagged Chris Van Hollen, congress, government, rule change, rules, shutdown on October 14, 2013 by wmaierica.